We went into PC World the other day. They sell TVs there too – all sorts. I said to Sheila, “I wonder if they have any 4K TVs yet?” So we asked the assistant. We explained. 4K. You know . 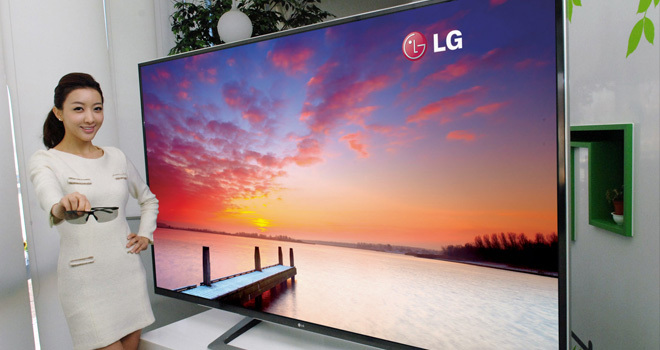 . . UHD TV, Ultra High Definition, 3840 x 2160 pixels . . . ? He went off to find someone. We laughed. Loudly. All the way to the door. But what on earth are PC World thinking? Currently, I'm Marketing and Research Manager for the Centre for Housing and Support in Worcester. If you think you remember me from the world of new media and marketing in high tech and I.T., or even as far back as educational TV, local radio or even photography, it's entirely possible you're right. There's a list of the places I've worked on my "Is it really me?" page. I've had a blog since January 2000 and I ususally post about Marketing, New Media, Viral bits and pieces and the very occasional bit about me. A technology video series I presented back in the 90s. Great IT history lessons. Here's an example from the series. Not the Steve Bell you were searching for? If your name is Stephen Bell and you have a website or Blog you would like added to this list, drop me a message containing your URL from here. I recently tweeted . . .
M-Audio Microtrack II “Unrepairable” at 32 months old! Jock Turner makes exceedingly good web sites. Highly recommended. Sheila Joynes Musician and music teacher in Worcester UK – also happens to be my other half.